Hello, Gorgeous! : Casual Friday: Football Edition. Although my workplace is fairly casual and we partake in "Casual Fridays", we are still expected to look presentable. Here's how I cheered for my team while still looking work-appropriate! Perfect choice! 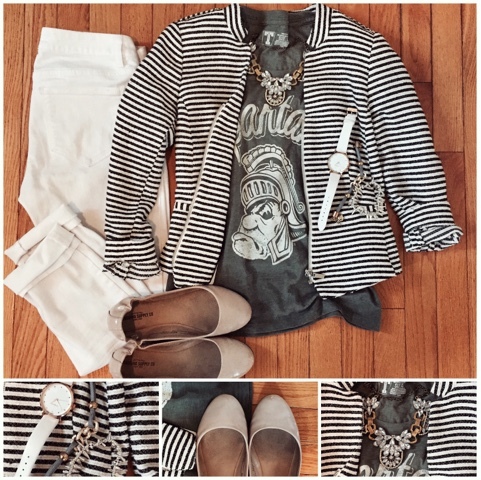 Love seeing a basic tee under a cute jacket.